NOIRC has been busy adding several bands to the website. Check out new additions HERE. One special band added to the roster that NOIRC is currently head-over-heels for is Giant Cloud. They recently played Lafayette, LA's Geronimo Fest and sound as though they could be the little sister band of The Peekers. 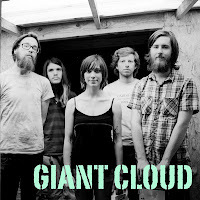 Check out their peppy, upbeat, folk - indie, could-only-be-conjured-up-in-Louisiana sound HERE.